When somebody asks you what you are afraid of, what do you say? Spiders? Heights? Public speaking? Bees? Yes, spiders are creepy looking. Being up high can make you feel you may fall. Speaking in front of other people can be nerve-wracking – all those eyes on you! And bees can sting when provoked. But what if I were to tell you that one of these things is actually a big contributor to the food on your table? Would you reconsider your phobia? As I was starting my senior year at Cal Poly, I decided I wanted to take one fun class each quarter that didn’t necessary fill degree requirements, but did fulfill my interest in the topic. In the Fall Quarter, I decided my fun class would be beekeeping. I had no idea how much it would open my eyes to the world around me. Not only did I learn a bit of Egyptian history, I also got a few biology lessons, watched interesting documentaries, and left the class with a new passion for bees – and an A. If you are afraid of bees, you probably have not given much thought to the positive impact they have on your everyday life. Being someone whose bee stings swell up to the size of baseballs, probably one of the most useful tips I learned in my beekeeping class is to ice the sting location and put a dab of toothpaste on the sting every once in awhile and voila, good as new in a few days. I was only stung twice during the three month class – and it was completely my fault, but I forgave the bee since they help farmers grow our food, pollinate the flowers in our gardens, have the capability of reducing allergies and produce one of my favorite foods, honey. In fact, bees pollinate 1 of every 3 bites of food we eat. If that doesn’t convince you to become ‘Bee-friendly’, consider this: you could actually survive on honey alone since it’s the only known food containing all the necessary nutrients that humans need to survive. And some say, a teaspoon of raw honey at bedtime (along with daily exercise) can help you lose fat faster than exercise alone. Over the past few years, farmers have noticed a shocking trend with their bees: often when they check on the hives, there are no bees to be found. Bees have started abandoning their hives and are dying at surprising rates. This phenomenon is called Colony Collapse Disorder, or CCD. Thus far, scientists have been unable to figure out why CCD occurs, but it is not surprising that, with nearly 80% of crops being pollinated by bees, farmers and scientists alike are worried about the bee population. China has already seen CCD change the course of its agriculture industry – since the ‘80s, farm workers have needed to hand pollinate all the blossoms in agricultural land because there is no longer a bee population to do it naturally. Beekeeping is surprisingly easy. 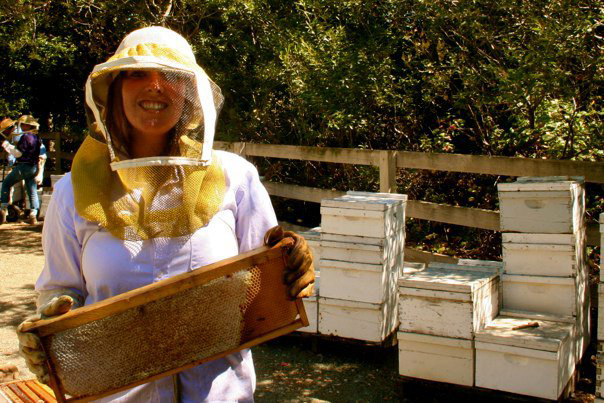 By visiting the Mount Diablo Bee Association website (http://www.diablobees.org), you will find information about how to raise bees, what to do with a bee swarm, how to create the best environment for your bees, and more. Raising bees can take as much or as little time as you want it to? How often you care for the bees depends on how involved you want to be in the harvesting of wax and honey. Give beekeeping a try; you may be surprised at how much a bunch of bees can improve the health of your plants in your garden and neighborhood. .
Join Sustainable Danville Area and Monte Vista High School’s Garden Club for a Honey Tasting and a filming of “Queen of the Sun”, about the environmental importance of honey bees. The evenings’ activities begin at 6PM on Wednesday, January 25th. A $5 suggested donation benefits MVHS student efforts to build an organic garden on campus. As the holiday season quickly approaches, many people are developing lists of presents to give loved ones. From toys to clothing, it’s easy to go to the mall and check off everything on your list without giving it a second thought – but gift giving is sweeter when the gift is exactly what the person wants and also helps our environment and community. If you have ever watched the AMC show Mad Men, and then gone out in Danville, Alamo and even San Francisco, you might notice that there is a similarity between the fashion on the streets and in the show. That’s because fashion comes full circle. Checking consignment stores for high quality clothing and accessories is the perfect place to start. Purchasing used items is not only environmentally friendly, but it is also a great way to say, “I saw this and thought of you.” Our community has a wonderful collection of consignment and antique stores, including Danville Area Sustainable Businesses ConsignIt Couture and Cottage Jewel that offer a plethora of unique fashion choices for holiday gifts. Purchasing items made in the USA is a great way to get quality items and boost our economy at the same time. Companies located within the United States are held to much stricter environmental and pollution standards than many of their foreign competitors, which means the factories are more environmentally friendly and the quality of your clothing is higher. Just like any other organic product, growing cotton organically prevents pesticides from entering groundwater, a large contributor to the world’s fresh water supply. In fact, today 50 percent of groundwater is contaminated with pesticides from agricultural production – including cotton. Companies such as Adidas, Pottery Barn, and Levi’s (to name a few) are making commitments to help alleviate groundwater pollution by using organic cotton in their product production. Locally, Danville Area Sustainable Business Olive Boutique offers sustainable fashion for all occasions made with 100% organic materials. 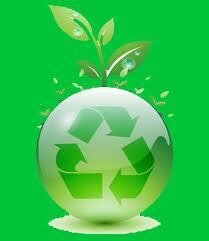 Do you recycle at home, but wonder where those plastic bottles ultimately go? You may not have to look much further than your closet. By doing some minimal research online, you can find companies that use partially or 100 percent recycled material for their fleece products. Not only will you help the environment by purchasing fleece clothes made out of recycled plastics, but you will keep your loved ones warm and cozy all winter. While you are online searching for eco-friendly fleece, you might also want to check out other sustainable clothing companies. Many items from these companies can be purchased through Amazon, or any other number of online retailers. The holidays are not only a time for giving and receiving from your loved ones, but they are also a time to give back to the world that we live in. One way to help the planet and assist those who are less fortunate than you is to go through your closet so you can donate clothes and recycle shoes. Nike’s Reuse-A-Shoe program (www.nikereuseashoe.com) takes your old athletic shoes and reuses them for athletic grounds or apparel. Another way to give back is to buy a pair of Tom’s shoes (www.toms.com). For every pair of shoes (or glasses) you buy from Tom’s, a pair is donated to a child in need. As of September 2010, over one million pairs were donated to children around the world, including here at home in the United States. Of course, we always encourage people to shop locally. There are many wonderful stores in the area that sell locally- and/or organically-produced goods, including clothing. 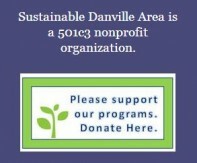 For the list of Danville Area Sustainable Businesses, visit the Sustainable Danville Area website at www.sustainabledanville.com – you will find clothing stores, restaurants, home furnishing studios, and more. By shopping at these local businesses you will not only be helping the environment, but you will also be supporting your neighbors and helping the local economy. Sustainable Danville Area wishes our friends and supporters a happy and peaceful holiday season. There will not be a forum in December, but we hope to see you in the New Year. For more information, please visit us atwww.sustainabledanville.com, on Facebook or @greendanville on Twitter.